What would Valentine’s Day be without a romantic dinner for two? The Vineyards Restaurant at Garden Ridge in San Antonio sets the stage amid the junipers and limestone ledges of the beautiful Texas Hill Country. Voted one of America’s Most Romantic Restaurants by Travel + Leisure, the Vineyards Restaurant lives up to this title with dining options in their candlelit wine cellar or overlooking their vineyards and rose gardens by moonlight. Find yourself in a sea of love at the Moody Gardens in Galveston with a unique Valentine’s dinner in Aquarium Pyramid. Couples can choose to dine with the sharks in the Caribbean Exhibit, with playful seals and sea lions in the North Pacific Exhibit, with dapper penguins in the South Atlantic Exhibit, or with a rainbow of fish in the South Pacific Exhibit. For a more theatrical dining experience, grab your partner and saddle up to the Texas Star Dinner Theater in Grapevine. Step back in time to 1880 and help solve the Wild West mystery of the murder of railroad tycoon Horace Grimsby and enjoy a delicious dinner along the way. In Fort Worth, relive your favorite love scenes from the American stage with “Acting with the Stars” at the Stage West Theater. Watch Six Fort Worth stars and their professional partners act out classic love stories before enjoying dinner, dancing, an auction and a raffle. Past “stars” have included senators, Indianapolis 500 winners, and even the local Chief of Police. Couples will receive a rose, chocolates and a commemorative photograph. In Houston, the Houston Symphony will feature the music from the classic love story of Prokofiev's Romeo and Juliet on Valentine’s Day. Hotels in Texas are also playing cupid this February. The Rosewood Mansion on Turtle Creek in Dallas will embroider the initials of you and your sweetheart on the pillowcases in your room as part of a romance package that also includes breakfast in bed, rose turndown, and a couples massage. Travaasa in Austin offers a full roster of activities for couples that includes partner yoga, Texas two-step lessons, and culinary demonstrations with the themes of aphrodisiac cooking and planning a breakfast in bed. 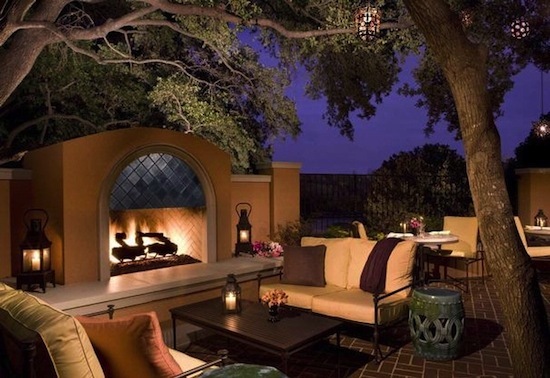 The Ritz-Carlton in Dallas has pulled out all the stops with their “Become Her Prince Charming” package. For a truly unforgettable Valentine’s Day, the package includes a rose petal turndown with an heirloom glass slipper hiding a personalized love note and an optional hand-crafted music box containing a specially-written melody. More adventurous couples will enjoy celebrating at the Four Seasons in Dallas, which offers a Great American Hot Air Balloon Ride, complete with a champagne toast at touchdown.